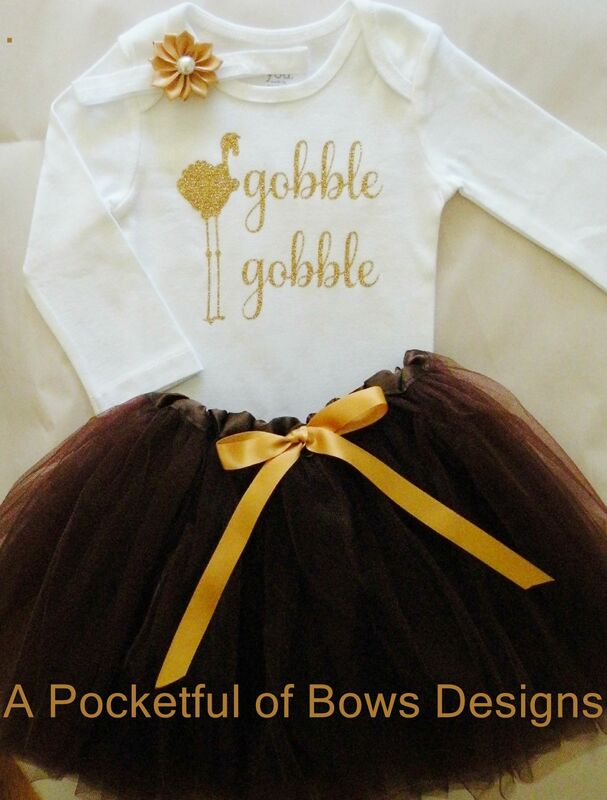 Girls Thanksgiving tutu outfit with headband, The top comes as a body suit or toddler tee shirt. 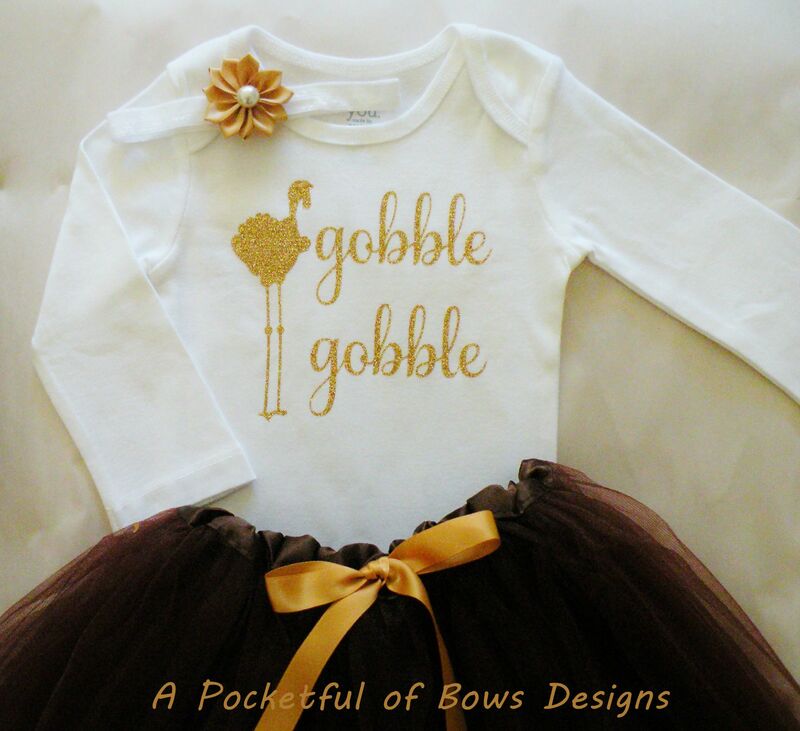 The top has a glitter gold turkey and gobble gobble on the front. 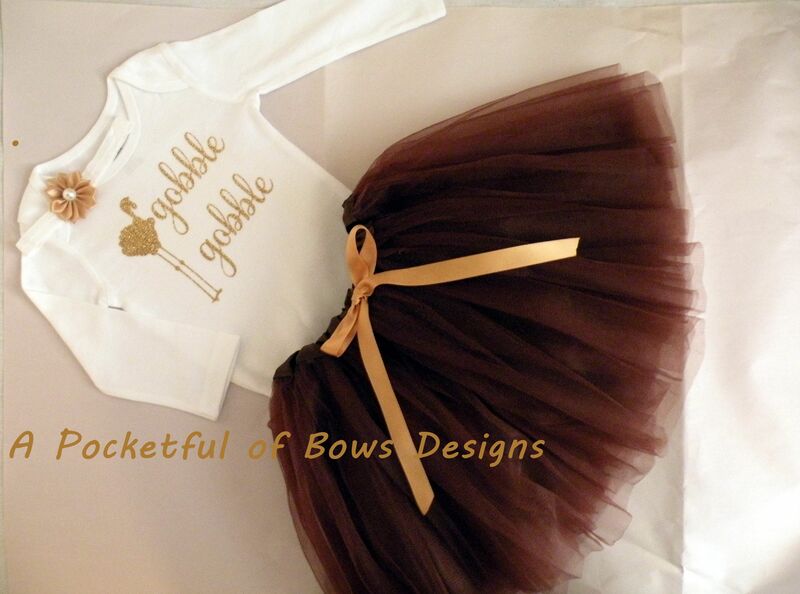 The tutu skirt is brown with a gold bow attached. 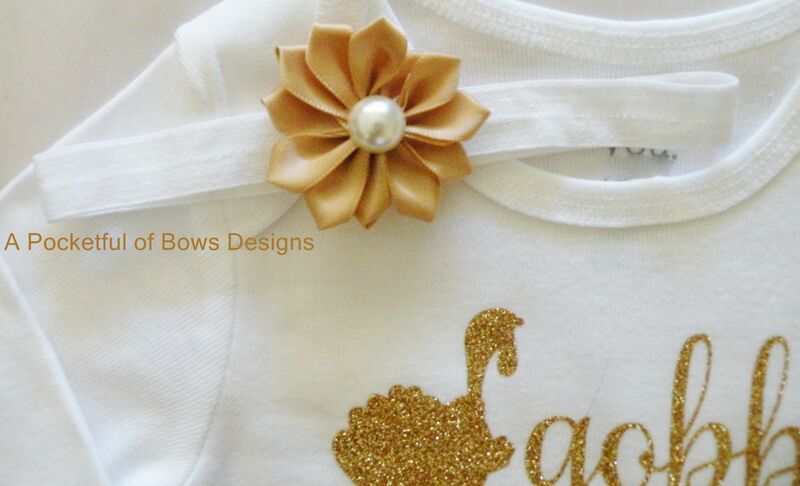 Included your choice of the glitter gold headband with attached flower or the flower clip.